Participants will explore iterative computer game design, programming and narrative or artistic exploration over an intensive two-day period. City University London’s Northampton Suite will become a hive of creative activity over the weekend of 29th to 31st January when the University becomes one of several hundred jam sites for Global Game Jam (GGJ) 2016. Taking place at multiple locations around the world, Global Game Jam (GGJ) is the world's largest game jam event, a massive hackathon focused on game development, compressed into 48 hour development cycle. 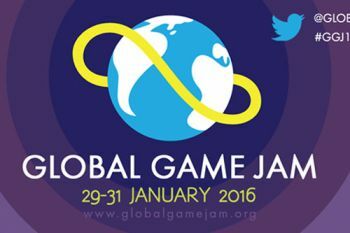 Last January, over 500 locations in 78 countries created 5439 games over the course of a weekend for Global Game Jam 2015. It will be City's second time of hosting the event. GGJ is aimed at people from all kinds of backgrounds to participate and contribute to the global reach of game development and creativity. To register to attend this event, please visit this weblink. A hackathon is a gathering where programmers collaboratively code over a short period of time. Hackathons last for a few days - or over a weekend - and generally no longer than a week. While working on a particular project, the idea is for each developer to be have the ability and freedom to work on whatever he/she wants.